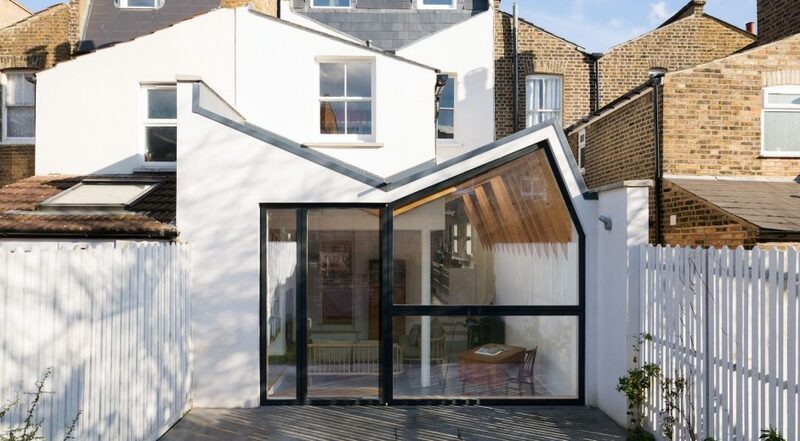 forresterarchitects have reintroduced the butterfly roof to a fine Victorian terraced house refurbishment in non-conformist Stoke Newington, North London. 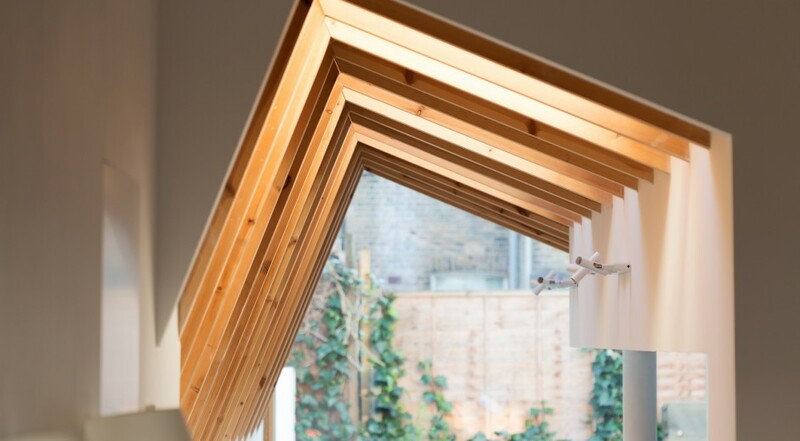 As a modern interpretation of the traditional London Roof, the butterfly roof provides a unique language for a rear extension. 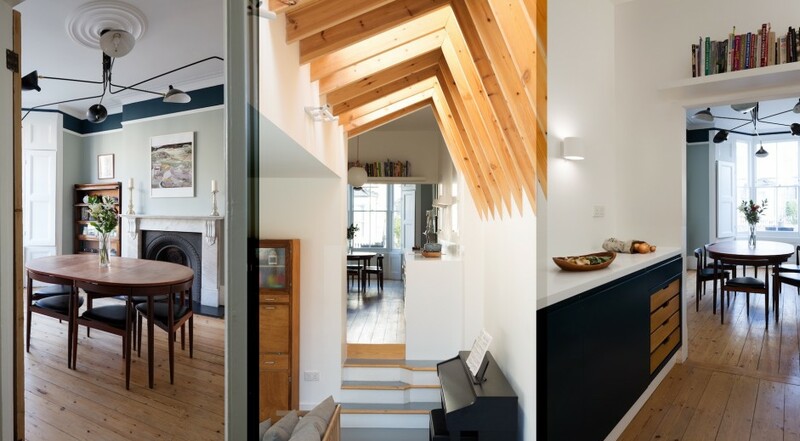 Avoiding the mundane typical rear extension the roof form is expressed as exposed timber joists. 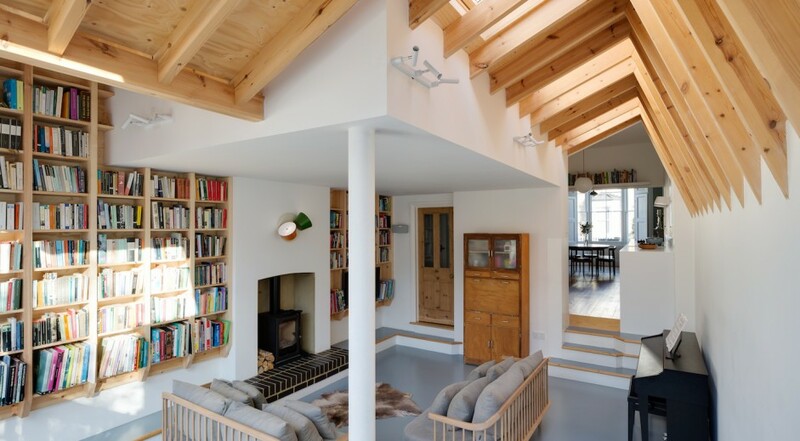 This provides a dynamic architectural feature and adds a natural warmth to the new space. The new roof construction is known as a warm roof construction. The roof membrane replaces traditional slate tile to provide a lightweight roof construction. 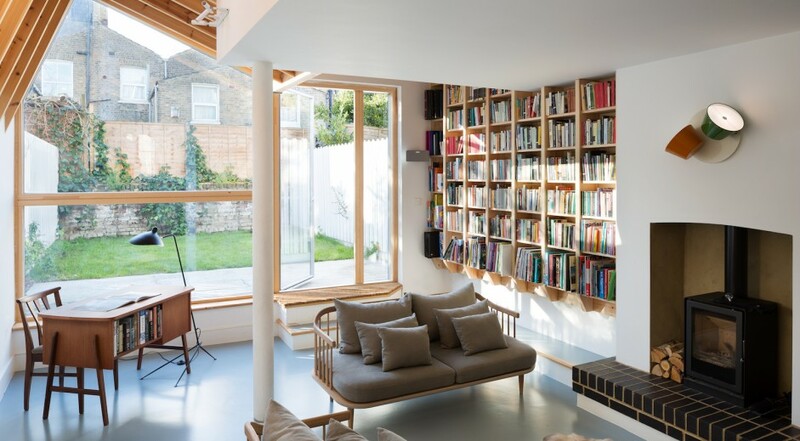 To the West, a large hexagonal glass window frames views of the small urban garden. The living room is located to the front of these houses. The reconfiguration work involved the kitchen being moved from the rear of the house and is located between the new living room. The dining room has moved to the bay fronted room to the front of the house. A new large galley kitchen provides an open plan connection between the living room and dining room. The dining room is orientated for breakfast in the early morning. The new living room benefits from views of the garden and the setting sun in the evening. 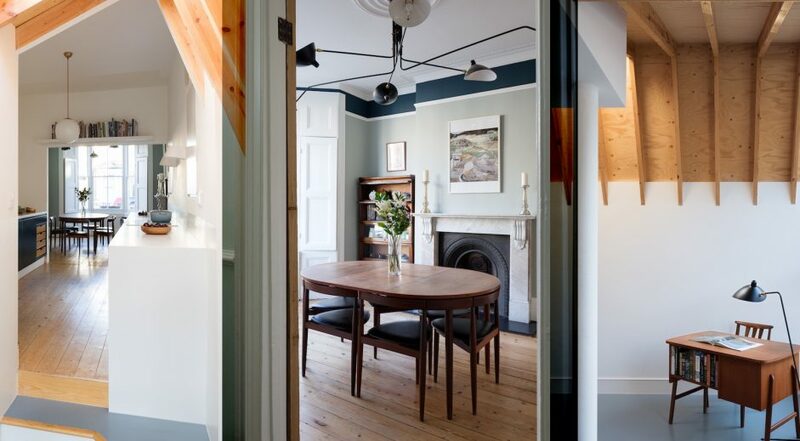 Other works to the house involve the conversion of the original roof space. 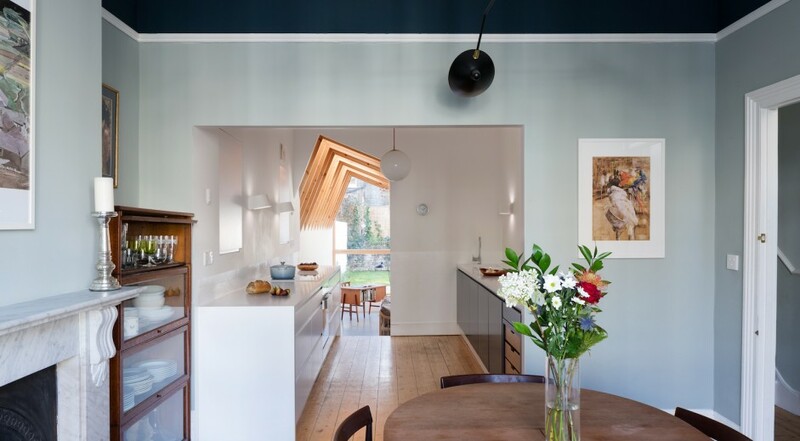 A traditional loft conversion adds a new floor of accommodation to the top of the house. A dedicated wet-room shower room has added to the top floor landing. The house was a three bedroom house now provides five bedrooms. As part of the refurbishments, the entire house has been rewired with new plumbing throughout. Each room has been provided with hard-wired CAT 5 data connectivity. 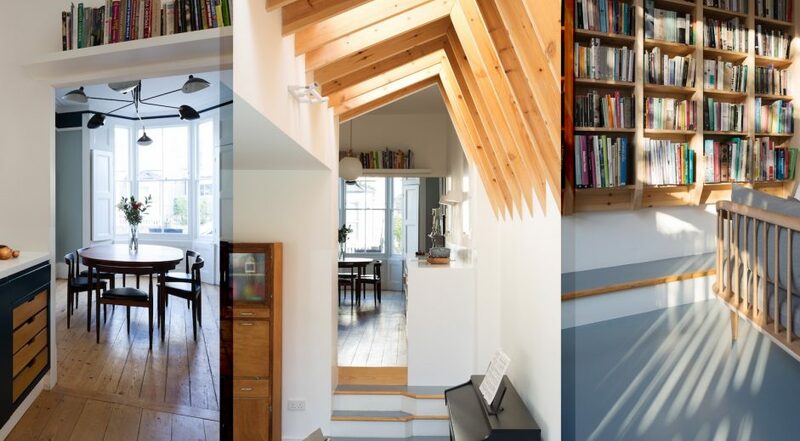 Click here for a innovative loft conversion. Or here for a penthouse refurbishment.